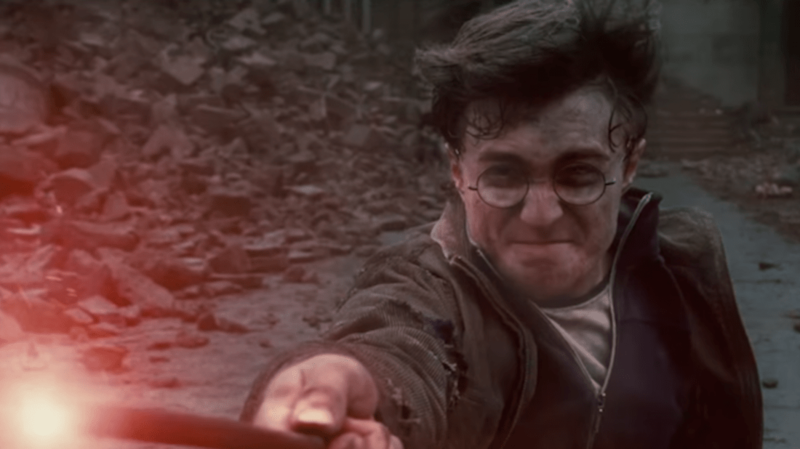 It's been nearly a decade since the final book in the Harry Potter series, Harry Potter and the Deathly Hallows, was published. Since then, the market for audiobooks has grown substantially. 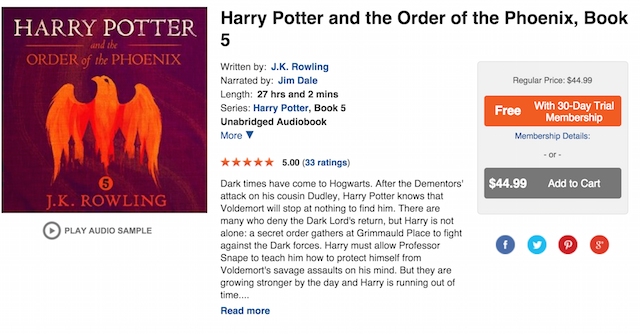 This week, Muggles the world over rejoiced when it was announced that the service has added audiobooks for all seven Harry Potter titles to its library of content. Jim Dale provides the voice for the U.S. editions of the books, Felix von Manteuffel reads them in German, and Stephen Fry's now-iconic readings are also available, but not in the U.S.—a detail that some American Audible users may be disappointed by. In a 2014 sit down with the Hudson Union Society, Fry spoke about being offered the job to narrate the first Harry Potter book, Harry Potter and the Philosopher's Stone (or Sorcerer's Stone for American readers). "I've always loved being read to," Fry said. "Children's stories are fun, I thought 'That won't take very long.' … I got sent this manuscript and I got very intrigued by it and thought it was a fantastic idea." Now, more children than ever will have the opportunity to experience the series for the first (or hundredth) time.